Welcome to Camp House World BBQ Cuisine where the spirit of aloha meets the mountains of Montana, and beyond! Check Facebook or Twitter for the current location of our mobile cuisine! 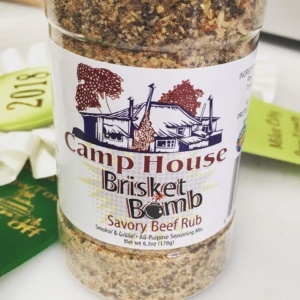 Ask about our Brisket Bomb Savory Beef Rub! Available for purchase now! Copyright © 2019 Camp House World BBQ Cuisine. All rights reserved.